A form, when it is secure, is an efficient way of gathering important information. However, a form in email is not secure. 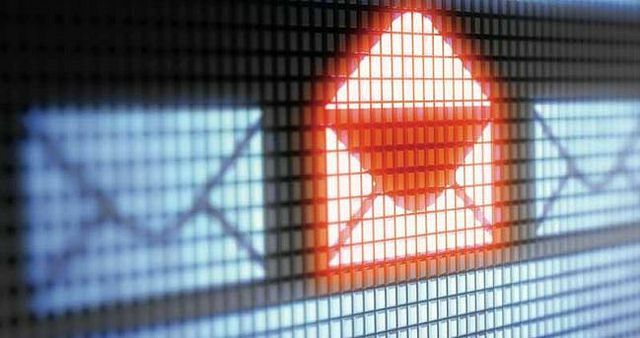 Some email clients may see the form as a security risk and pop up an alert to the subscriber. Others will outright disable the form. Both will decrease your completion rate and ding your reputation. Consider including a call to action in your email, with a hyperlink to a landing page with the form. There are two main reasons why forms aren't used as frequently in an email, and why you most probably never have sent one via email. The way forms are usually used on the Web does not work with email directly and independently. There is no email client that has Insert | Form... somewhere in its menu. To send an email, we have to set up a script somewhere on a web server that takes the input from the emailed form. For this to work, the user's Web browser must be launched and will display some sort of "results" page where we tell them that we have collected the data. The email client automatically composes an email containing the form input and sends it back to an address we specify. This sounds cumbersome, but if you have access to a web server and can run scripts on it, this is a viable option. To set up the form we need some HTML skills and tags and this is also where we begin to enter the second (and final) problem. First, let's have a look at what the HTML source code for a very simple form should look like. To find out why these HTML codes are used for this form, have a look at this forms tutorial. The problem now is to get this code into a message you create in an email program. To do so, you have to look for a way to edit the HTML source to the message. Unfortunately, this is not always possible. Outlook Express 5 for Macintosh, for example, offers no way to edit it; neither does Eudora. Netscape and well as Mozilla offer a way to insert HTML tags into the message. It's not perfect, but it works. The probably best option is Outlook Express 5+ for Windows, where you have an extra tab for the source. There, you can edit freely and insert the form code as you like. Once you are done with both entering the form source code and writing the rest of the message, you can send it — and have sent a form via email. In response, you will (hopefully) receive the results of the form in raw data form, which you will have to post-process, just as you would if the email form was on a page on the Web. Of course, you will only get results at all if the recipients of your emailed form can display HTML in their email clients. Google Forms allows you to create and send surveys embedded within an email. The recipient is able to fill out the form within the email if they have Gmail or Google Apps. If they don’t, there is a link at the start of the email that will take them to a site to complete the form. The whole process of embedding Google Forms in email is relatively simple to complete. How Do You Edit the HTML Source of an Email?